The two photos above --and the one below here --are all from the beautiful website that was built for The Ultimate Black Belt Test 2012. The images specifically pertain to the woman in the top photo, Ms. Georgia. 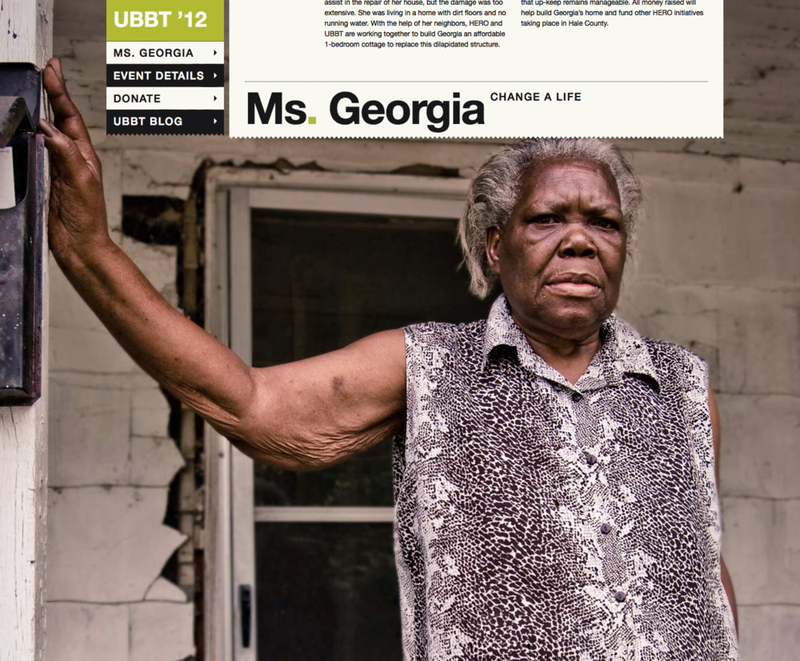 The members of the UBBT 2012 raised part of the money for ($16,570.15 that year) and then built a house for her in Greensboro, Alabama. When I say "built," I mean that all the members of the team, black belts and their students, flew or drove to Greensboro to do the work themselves. Ms. Georgia lived in a almost unlivable structure before we arrived --and when we left, she had a beautiful, dry, and warm tiny-house to reside in. The Alabama House-Build Project, executed by Ultimate Black Belt Test members, 14 different teams over a period of 14 years, raised a total of more than $225,000 in donations and facilitated over 40,000 hours of volunteer labor. That's, in great part, what the Ultimate Black Belt Test is about. Taking the practice of the martial arts out of the dojo --and putting it to work in the world. The Ultimate Black Belt Test (UBBT) was started by martial arts master teacher Tom Callos in 2004. Tom's initial idea was to gather up some of his black belt friends and spend a year experimenting with innovative black belt testing curriculum to, "see what would happen." "I thought that we could, that is the international martial arts community could, do a far better job at cultivating world class black belts," says Callos. "I had been a part of or watched hundreds of black belt tests in my career and felt we weren't approaching the process from a creative enough place, nor were the training processes, in general, speaking to how I felt about the spirit of the work. So out of that came The Ultimate Black Belt Test." 50,000 push-ups and 50,000 sit-ups. 1000 repetitions of a single kata. 1000 documented acts of kindness. Walking, running, swimming, or biking 1000 miles in a year's time. A year in The Body for Life dietary program. 20 hours of training with a professional boxing or kick-boxing coach. 100 hours of training in a grappling art such as Jiu-Jitsu, Judo, Wrestling, or Sambo. A full day living in a wheelchair, a day blind, and 1 day mute (called "Empathy Training). Mend 3 relationships gone bad and fix 3 wrongs you had done in your life. Interview a "Master" In another art or discipline, and profile 10 "Living Heroes." Keep a weekly journal, on-line, for the year of the training. Conceive and execute or participate in 1 environmental clean up or restoration project. Enroll in and complete a diabetes education and/or teacher training program. Take 1 or more reality self-defense training programs. Execute 5 public test performances. 15 minutes of mediation, daily, for the length of the test, after getting meditation training. The achievement and documentation of 10 Personal Victories. Reading 10 books during the year of the test. Participate in the 3 special events of the UBBT (Typically a 3 day eco-adventure guided by Coach Tom Callos along The Pacific Crest Trail, 4 days working with The Alabama Project, and a final graduation). Every member was expected to come to the final graduation in the very best shape of their life --and quitting the UBBT was absolutely unacceptable. Each member had to take a solemn pledge to finish the program they started, period. Our first UBBT website received over 1 million visits --and as a result, schools around the world began borrowing ideas from the program. 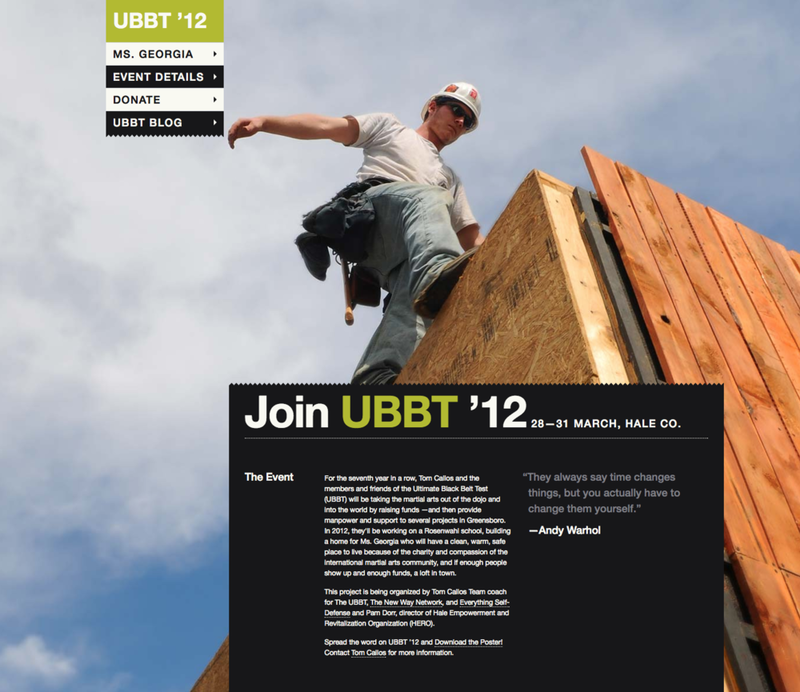 Coming next, some of the more interesting stories from 14 years of UBBT testing. The Oakland Museum of California, Hip Hop and Bruce Lee, Domestic Violence, and Mending Relationships; All in a Week's Work.